“When you tell people you make candy, people usually smile,” says Lisa Brasher, whose great, great, grandfather Gustav Goelitz started the Goelitz Candy Company in 1869. The company did fairly well until 1966, when Ronald Reagan traded his tobacco habit with his jelly bean habit. Word got out that the Goelitz jelly beans were on Reagan’s desk and then the Goelitz candy company got bombarded with orders. In 1976, the company took another turn, when asked to produce a jelly bean with natural flavors. Finally in 2001 the company changed its name to the Jelly Belly Candy Company. 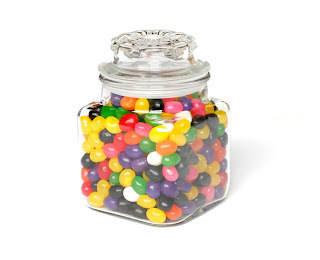 Last year the company sold 15 BILLION jelly beans. They now have over 50 flavors too. I like the buttered popcorn flavor the best. The buttered popcorn ones are my favorite too!